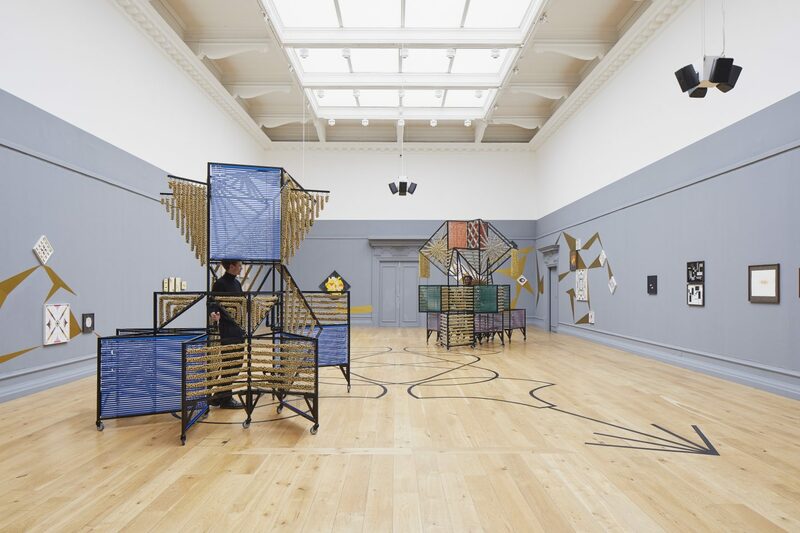 Recent and new work by Haegue Yang (b. 1971, South Korea). On the walls, large-scale works from Yang’s Trustworthies series are shown alongside new Hardware Store Collages and Lacquer Paintings, creating a visual dialogue between familiar household objects and abstract works. Two large, wheeled sculptures create a distinctive rattle when activated by performers who periodically move them around the space.